Paul Gauguin Cruises is preparing for a grand 2018 filled with seemingly all the world’s most beautiful islands: Tahiti, Marquesas, Tuamotus, the Cook Islands and the Society Islands. Best of all, guests will be able to take their pick of the most convenient voyage length from 7-14 nights and opt to be the first to visit the port city of Vairao in Tahiti Iti via cruise. The new weeklong Society Islands & Tahiti Iti itinerary will begin in June. The classic seven-night Tahiti & the Society Islands route will still be offered from Papeete to Huahine, Taha’a, Bora Bora and Moorea. However, the latest offering foregoes an overnight in the latter port in favor of adding in Vairao for a day. This fresh Polynesian port on Tahiti Iti—available only with Paul Gauguin—sports stunning cliffs, caves, waterfalls, seas and beaches. In addition to deep-sea fishing and volatile surfing, exquisite scuba diving is safely accessible to cruise travelers. Another new itinerary featuring Vairao, a special version of the 10-night Society Islands & Tuamotus circuit adds in Rangiroa and Fakarava as well as a day at sea that's perfectly scheduled in the middle of the cruise. Such an onboard respite can be a relaxing break in between frequent touring, especially when on the titular Paul Gauguin itself. 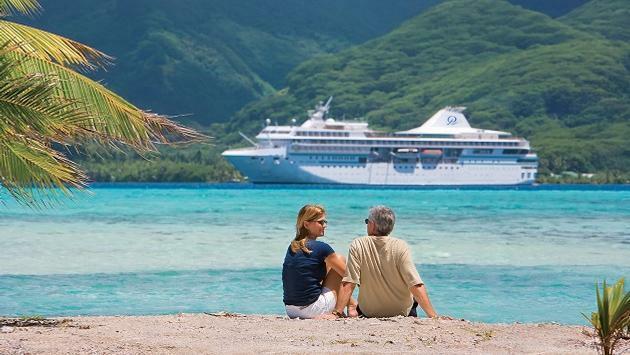 Also simply known as “The Gauguin,” the 332-guest ship is equal parts intimate and fully featured. Service is very attentive thanks to 217 staff members ensuring a fantastic 1:1.5 crew-to-guest ratio. Yet, there are still plenty of choices including three dining venues, spa and fitness center, casino, library, marina and more. Private accommodations are also available in a variety of stateroom and suite categories. All-inclusive in nature, guests are additionally treated to complimentary roundtrip airfare from Los Angeles, all dining and room service, alcoholic and non-alcoholic beverages (including select house liquors), entertainment and presentations, water sports and gratuities. Other 2018 routes to look forward to include the line’s original 10-night Society Islands & Tuamotus itinerary, (which does not feature Vairao but does overnight in Moorea). 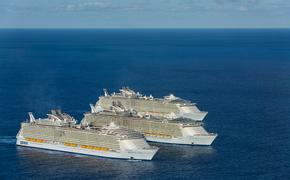 A bit longer is the 11-night Cook Islands & Society Islands voyage. Roundtrip from Papeete is this variant with Aitutaki and Rarotonga, plus two restful sea days bookending the longer southwesterly sailing to and from the Cook Islands. Each stop has its own selection of tantalizing tours like scenic snorkeling. Of course, the 14-night Marquesas, Tuamotus & Society Islands itinerary is the way to go for those wanting even greater diversity and cruise length. Unique to this one are Omoa, Fatu Hiva; Atuona, Hiva Oa; Hapatoni, Tahuata and Taiohae, Nuku Hiva—all in the Marquesas Islands of televised “Survivor” fame. This itinerary also boasts four glorious sea days. No matter which itinerary you choose, Paul Gauguin Cruises has all the comforts of home (and then some), ready to pamper you onboard in between the adventures ashore.